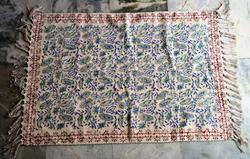 We Offer all kind of Hand Block Printed Rugs in all sizes and designs. We have wide range of rugs design, We can make custom Orders as well. Looking for Block Printed Rugs ?